Where's the candy, you ask? Well, some of it, the calorie-free kind at least, can be found in Simple Stories adorable Frankie and Friends collection. Since this card is all about candy, I'd love to hear what your favorite is. Mine is either Snickers or Almond Joy, depending on my mood. This is one of two cards I made with Frankie and Friends (I'll share the other next week). It came together so easily. I added stickers, chipboard, a die cut and enamel dots to a pre-printed 4x6 journaling spot. 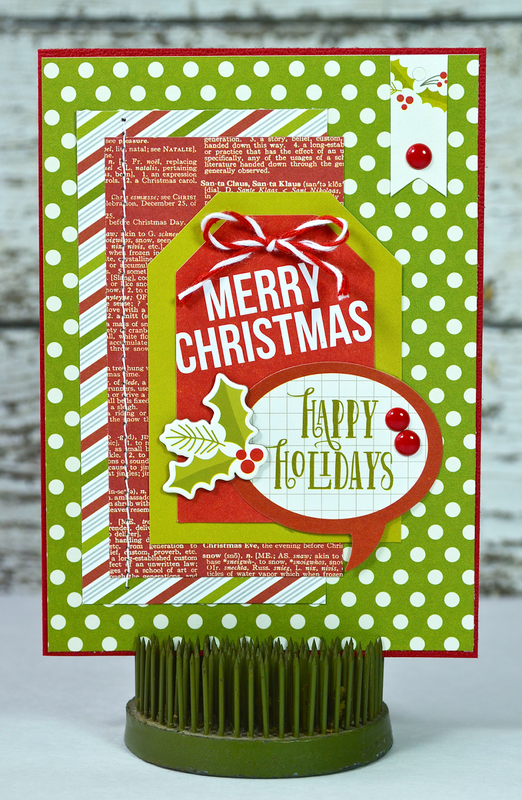 I don't know about you, but I love a card that comes together quickly and turns out so cute! That's it for me this week. Have a happy and safe Halloween (and don't eat too much candy)! Scrapbooking Hanukkah photos is hard because there are no holiday-themed collections available. Years ago, I was on the design team for a company called Crafting Jewish Style. They are about the only company that makes collection specifically for Jewish holidays. Most years I resort to using non-themed collections, working with the colors in my photos vs. the holiday theme itself. Who would have guessed that Echo Park's Creative Agenda collection would be exactly what I needed to document this photo? I love all of the color! Some of the embellishments on here are for symbolic purposes, like the light bulb because it says, "Bright Idea" which goes along with the candlelight, the "sold" tag because my Dad bought this menorah for Alexa, and the cluster of art supplies because the menorah was made, and painted, by an artist. Alexa is a bit obsessed with The Mortal Instruments book series and has chosen to go as her favorite book character (Clary Fray) for Halloween. She created some of her costume accessories from Sculpey clay (a necklace charm and writing instrument). Although her costume is far from spooky, this photo worked well with Echo Park's Arsenic & Lace collection. To complement the vintage designs, I crumpled the papers layered underneath my photo to give them a more authentic look. I also used a number of Echo Park cut files (spider web, elixir label, and bitty bag) on here. Please visit the Echo Park blog to see the complete supply list for this layout (including links to the cut files I used), detail shots and a write up about how to distress papers to work with a vintage collection. 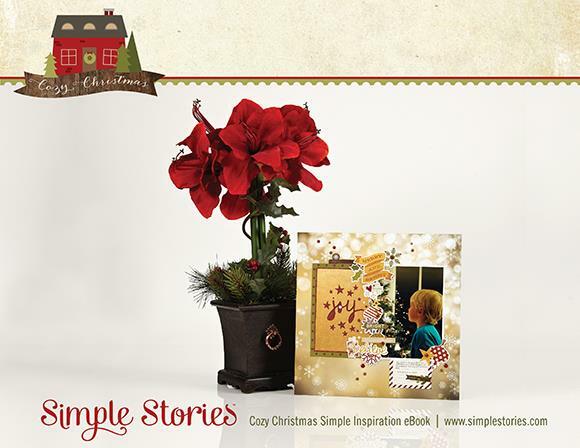 Yesterday I shared a holiday card made with Simple Stories new DIY Christmas collection. Today I'm giving you a look at another card made from the same collection. I used the same elements (papers and embellishments) as yesterday's card, but created a totally different design. That's the beauty of DIY Christmas. There are so many little bits and pieces to choose from. Each card can be unique. I don't know about you, but I get kind of really bored if I have to replicate the same design over and over. 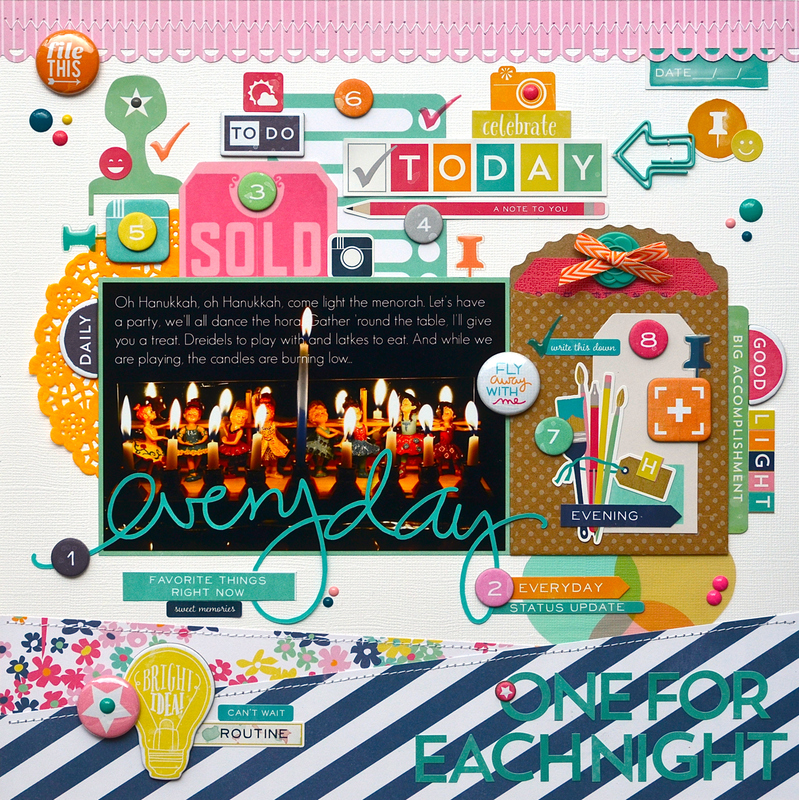 With a collection like this, I can mix and match embellishments and papers to get a fresh design every time. I'll be changing gears tomorrow and sharing a Halloween layout. Thanks for stopping by today! 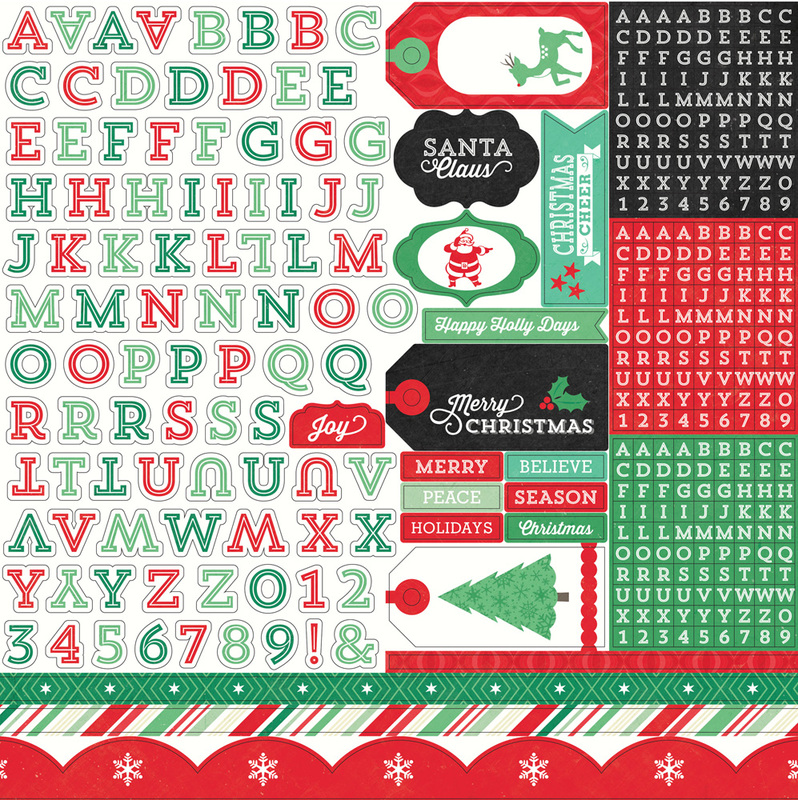 Simple Stories just released a new eBook featuring projects created with their new Cozy Christmas collection. 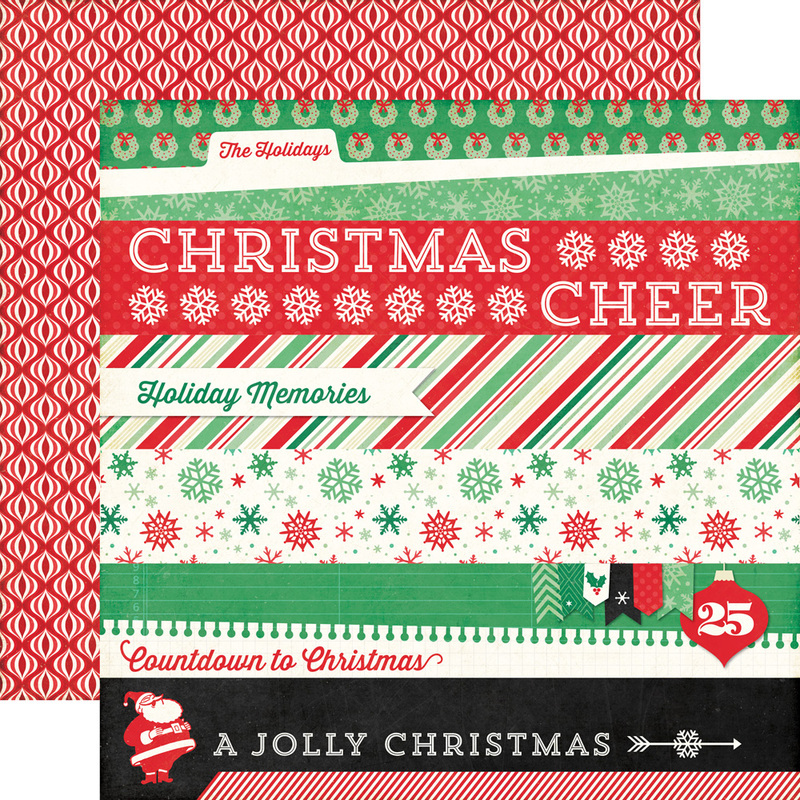 This is a free download (PDF) chock full of inspiration, so be sure to check it out (plus you'll find two of my layouts in there). Here's a look at the collection kit. Makes you want to pull out your holiday photos, doesn't it? If little girls are made of sugar and spice and everything nice, then they deserve to receive a card full of bling and sparkle, right? This card was made with Echo Park's Princess Mini Theme. To make it sparkle and shine, I used glitter cardstock (Yes, you read that correctly. I used something with glitter on it. LOL! ), rhinestones, pearls and sequins. Of course I also HAD to add in a doily for good measure. I'll leave you with this little known fact...Sparkalaphobia is the fear of glitter. I have a case of it...a really bad case. LOL! Am I the only one? A few weeks ago, a dear scrapbooking friend's father passed away. She has made me (and Alexa) beautiful cards that lift our spirits and bring smiles to our faces, so I thought it only fitting to make a card for her. I only wish it could have been for a happier occasion. I dug into the goodies from various Paper Issues Swag Bags and got to work, adding in items from my stash. I went with a soothing aqua and kraft color combo and kept the design pretty understated. I'll be back tomorrow with a card that's fit for a princess. 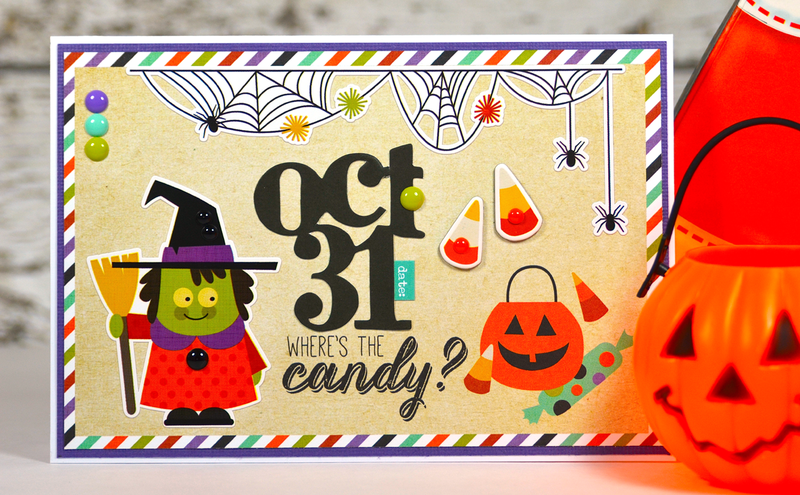 Today marks the start of a new linky party at Paper Issues called Woodn't You Know, It's Fall, sponsored by Pinkfresh Studio. I paired some of my favorite Pinkfresh products (wood veneer hearts, arrow and wood drop chevron sticker) with elements from Paper Issues' October Swag Bag (and a bit of paper from my stash) to create the card above. The code LISA20 will get you 20% off of your entire purchase any time you shop in the Paper Issues store. Have a great day! 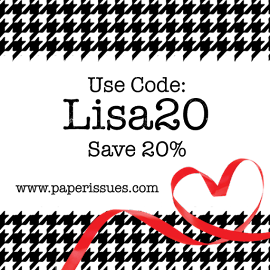 I hope to see my blog reader friends (linky) partying with us! Hi everyone! 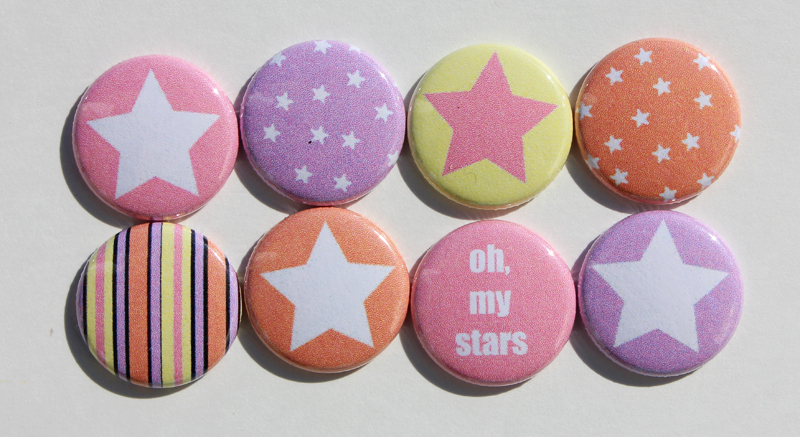 Last week I shared a card featuring the Oh My Stars (Warm Colors) flair set from my friend, Toni From's brand new Etsy shop, Toni From Designs. Today I'm showing you a second card I made with the same set. 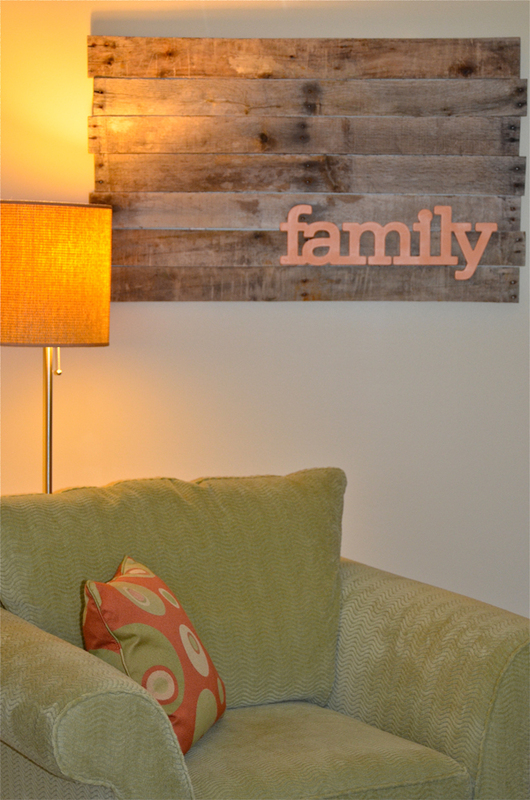 This is a fun and cheerful color scheme, don't you think? 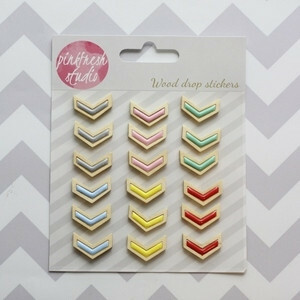 Toni adds new flair designs to her shop every Monday so be sure to check back often. 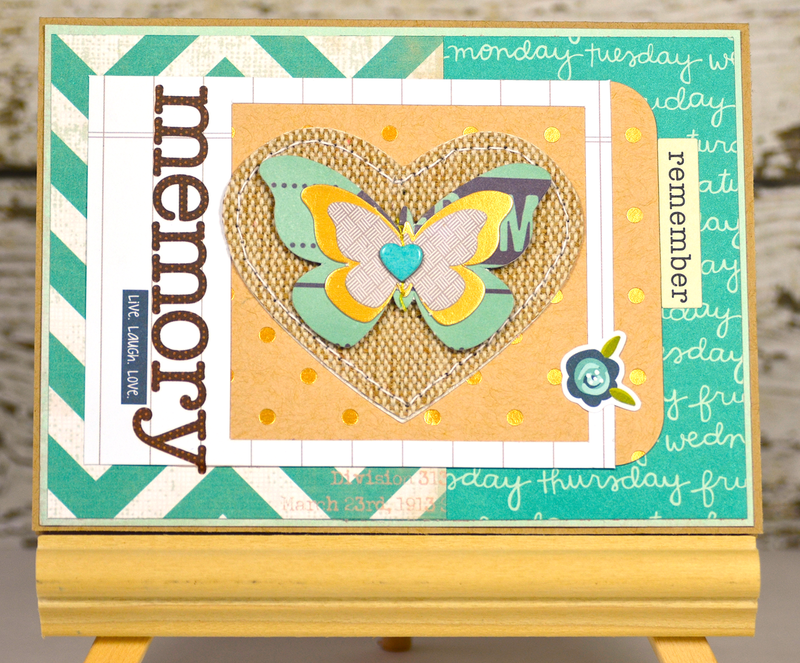 Last month I received a nice email from Technique Tuesday asking if I'd like to create with a newly released Memory Keepers StudioTM stamp set and share the project on my blog. 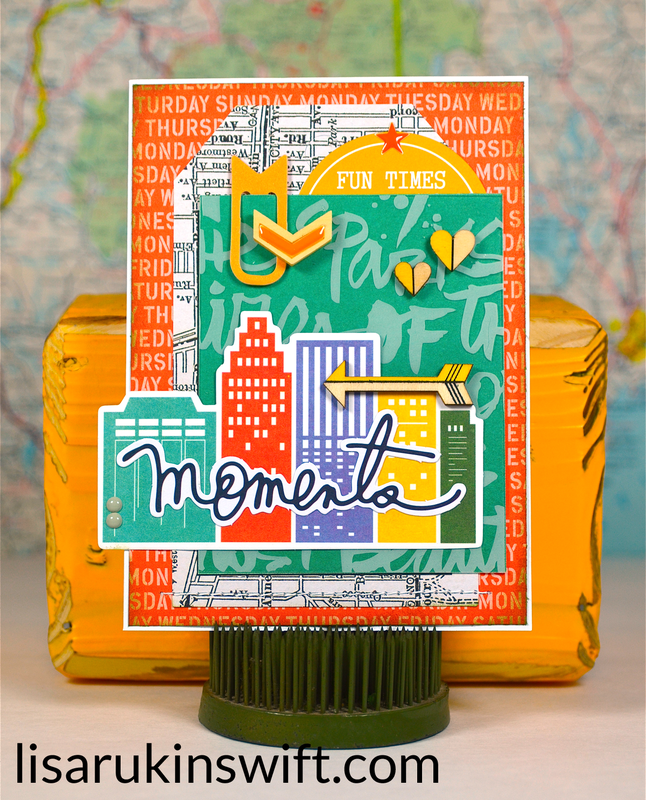 Memory Keepers StudioTM is a monthly stamp subscription program, with a new stamp set being released each month. The companion program, called Fresh Cut StudioTM, releases a coordinating thin steel die set. 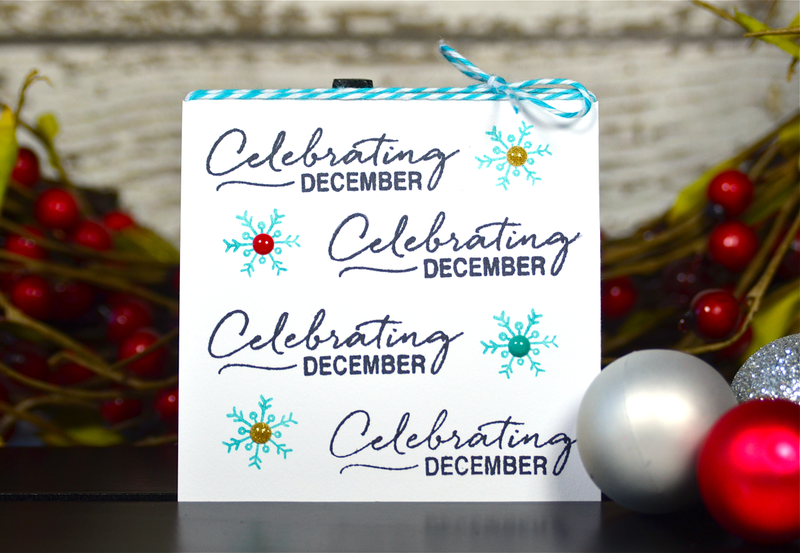 I received the Celebrating December stamp set. 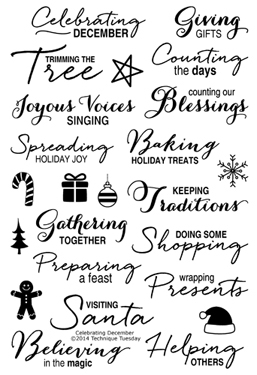 I fell in love with the sentiment fonts and the cute holiday-themed icons. They definitely paired up nicely on my project. So, what did I create? A trio of 3" x 3" Christmas cards. I thought they'd be cute additions to presents or gift packages of baked goods. Want a closer look? 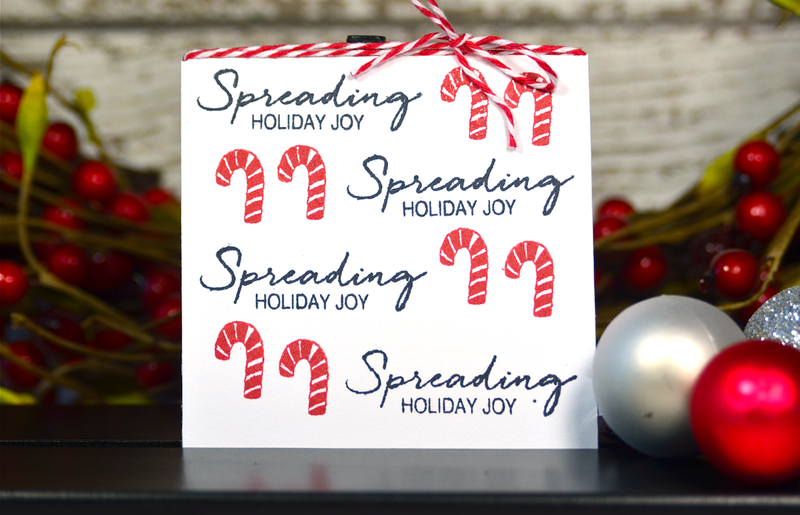 I paired candy cane images with the "Spreading Holiday Joy" sentiment stamp on this one. This next one is more of a winter-themed card. Enamel dots dress up the centers of the snowflake images. 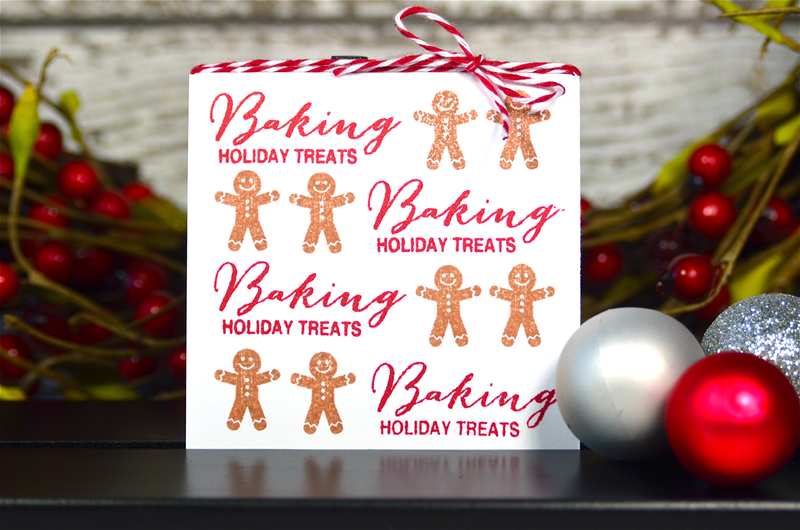 Last, but not least, who doesn't love holiday treats, especially gingerbread men? Aren't they adorable? I think I'll use this to top a package of homemade treats to welcome our new neighbors when they move in next month. If you love stamps, and the option of getting coordinating dies in your mailbox each month, be sure to check out Technique Tuesday's monthly programs. In honor of World Card Making Day, some of the Simple Stories design team members created cards that were showcased on the Simple Stories blog on Saturday. This is my contribution. 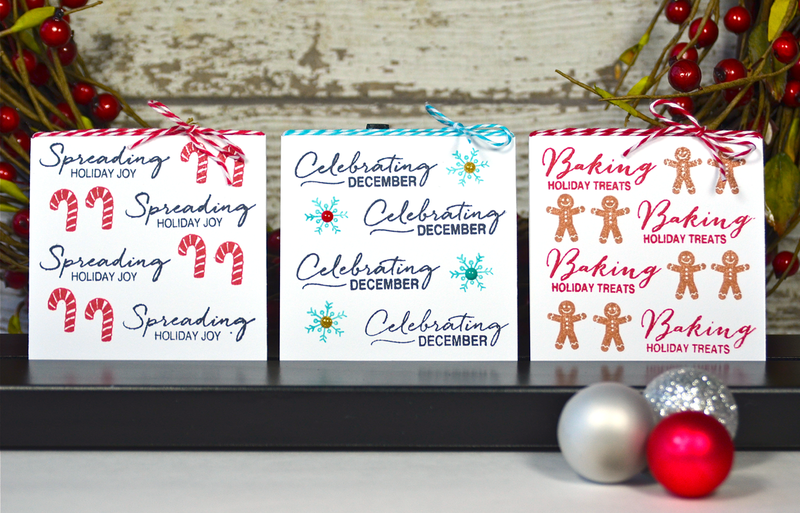 Be sure to check out the Simple Stories blog to see all of the beautiful cards the design team made. In the meantime, if you'd like more Sweater Weather inspiration, take a look at this layout, and this one, as well as this two-page pocket page spread I shared in August. Thanks for visiting today! I'll see you tomorrow. Hi everyone! Happy Wednesday! We're halfway through the week. Can you believe it? I'm here today to share a card I made featuring flair from my friend, Toni From's brand new Etsy shop, Toni From Designs. 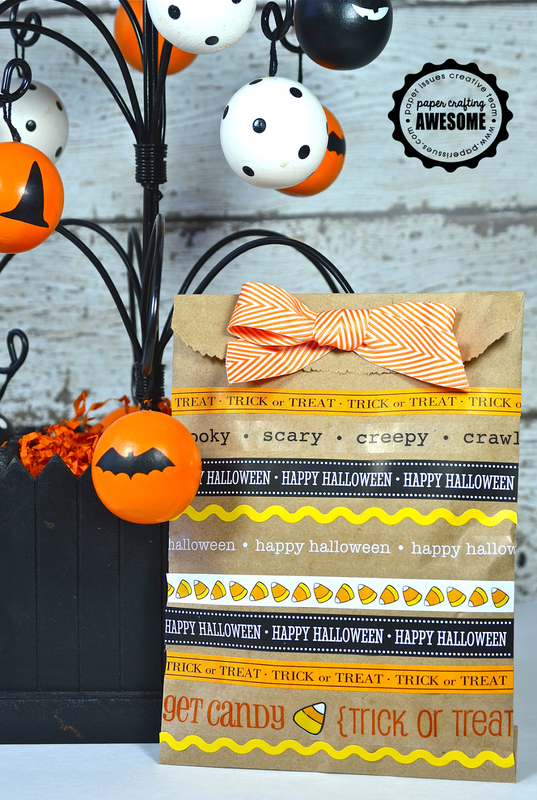 I used the Oh My Stars (Warm Colors) set along with bits and pieces from various Paper Issues Swag Bags. I love how the pieces of flair play off of the circles in the papers, enamel dots and brad. Toni plans to debut new flair designs every Monday so be sure to check her shop often. I'll be back on Monday. Enjoy the rest of your week and have a wonderful weekend!